Mobile concrete pump for sale is very convenient to move from site to site, because it is with two tyres. 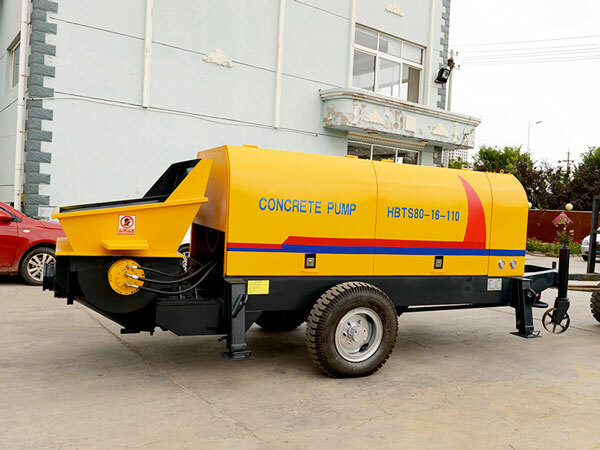 Therefore, if you have a lot of projects to do, mobile concrete pump will be your ideal choice. 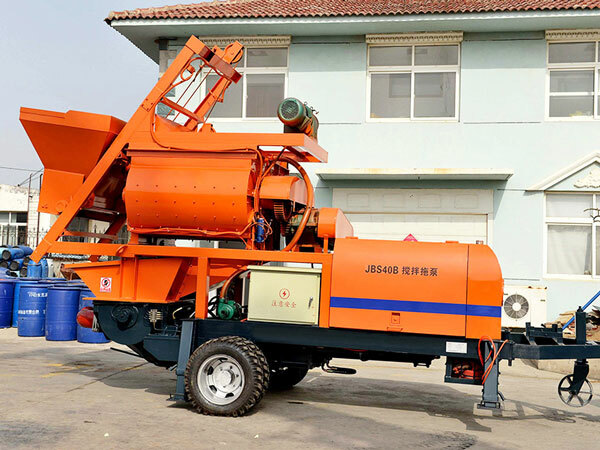 Also we have mobile concrete mixer with pump, it is equipped with concrete mixers, concrete mixers can be JZC series concrete drum mixer and JS series twin shaft concrete mixer, in this article, I will give you detailed introduction about these types of mobile concrete pumps. 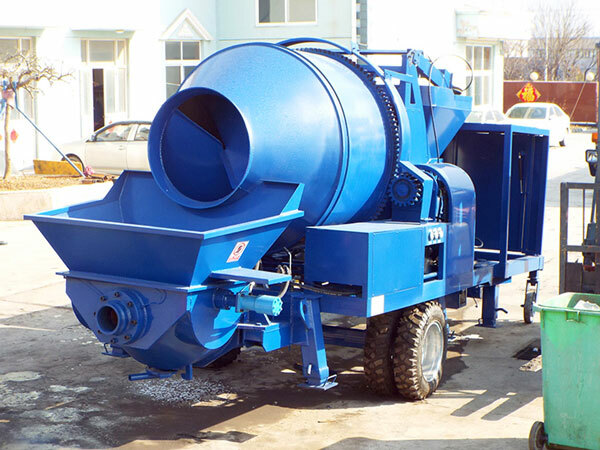 Mobile concrete mixer with pump is equipped with concrete mixer, so it can produce and pump concrete very efficiently. 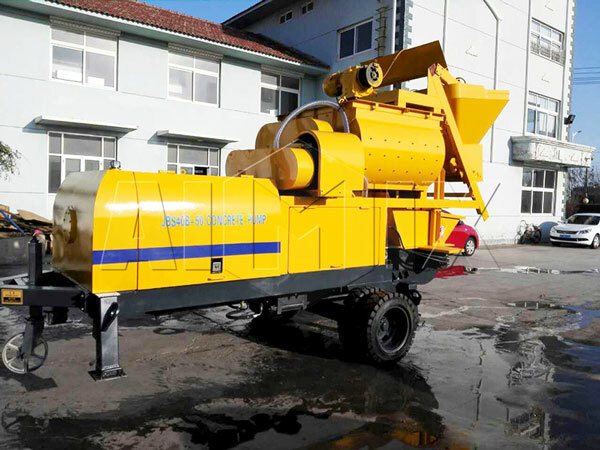 This type mobile concrete mixer with pump is usually equipped with JZC series concrete mixer, so it can produce a large quantity of concrete, if you need amounts of fresh concrete, you can choose this type, because it can achieve high efficiency, but concrete has general quality. 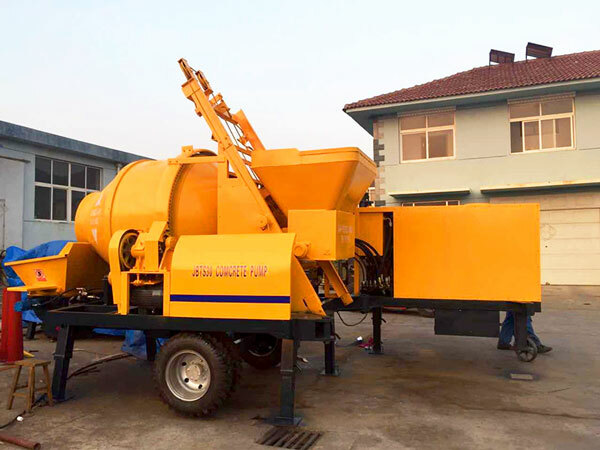 This type mobile concrete mixer with pump is with JS series twin shaft compulsory concrete mixer, it will mix raw materials intensively and thoroughly, so it can produce high-quality concrete, and won’t cause residue wastes. 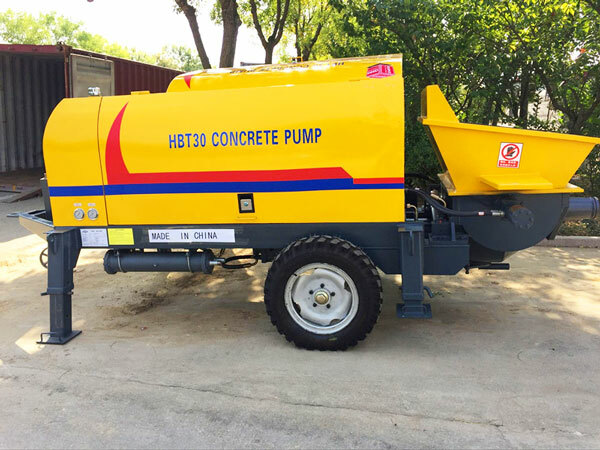 You can see the specifications seriously and choose a proper type mobile concrete pump for your project. 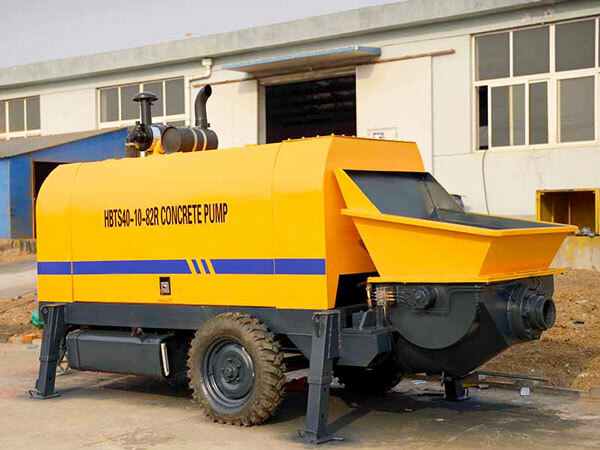 In addition functions, you need to objectively evaluate your project, if your project scale is not very big and period is not very long, you can choose a small mobile concrete pump, even mini mobile concrete pump, it will be a cost-saving investment. 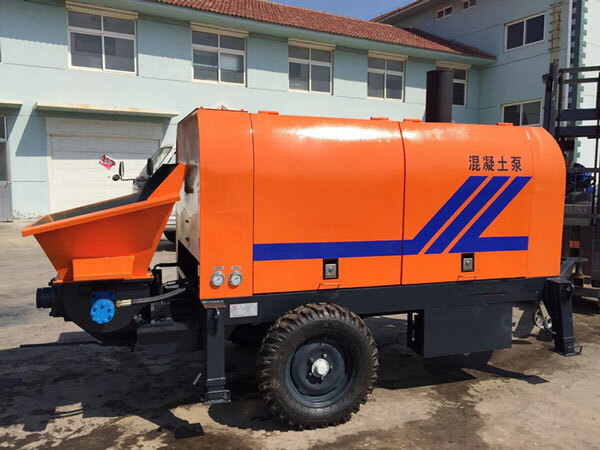 In general, we say mobile concrete pump for sale, also means trailer type mobile concrete pump, because it has no concrete mixer, so, it is just used for pumping concrete. 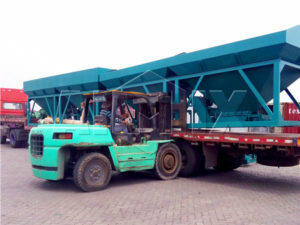 I need to mention, you need to transport concrete from concrete production site by using concrete mixer truck, also you can produce concrete on your own, if you had concrete batching plant or self loading concrete mixer truck. We can customize for your diesel mobile concrete pump and electric mobile concrete pump. Once you visit my website, you will see so much mobile concrete pumps, if you don’t know how to choose a right type, you can leave message on my website, or contact me by email: sales@aimixgroup.pk. I will give you professional advice. Meanwhile, in addition Pakistan, we also have factory and office in Uzbekistan, Philippines, Sri Lanka and China, also our parent company is in China, we warmly welcome you to visit us! 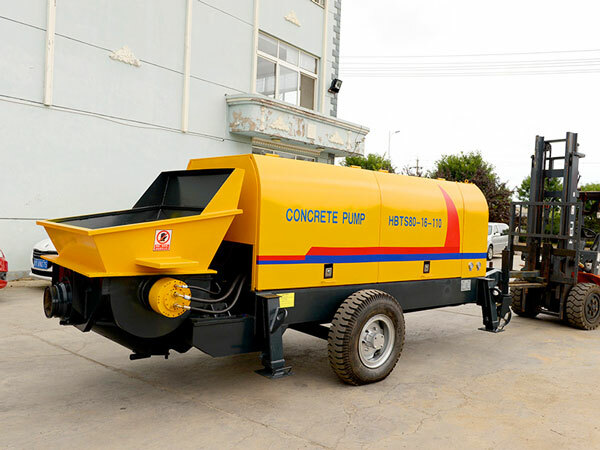 Because we are mobile concrete pump manufacturers, so we can give you best price without any immediate fee. 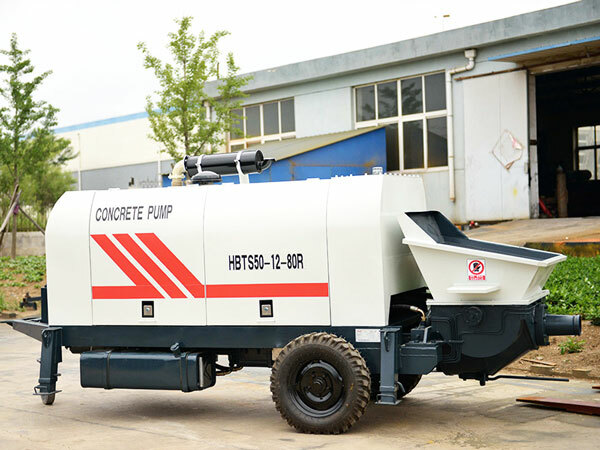 If you bought our mobile concrete pumps, we will go to your site and help you install and debug the mobile concrete pump, and train your workers, ensure normal operation after we leave. Contact us now!